Nichole is a graduate of Southwest Technical College. She has worked in the hair industry for over 15 years, two of those as an educator for waxing. Along with hair, she also offers nail services, skin care and waxing. Nichole loves the variety her job brings and the fact that everyday is different. The thing she enjoys the most about her job is making people look and feel great. She enjoys seeing the smile on the face of a client when they leave the salon and hopes everyone who steps through the door enjoys their visit and time spent with the technicians. 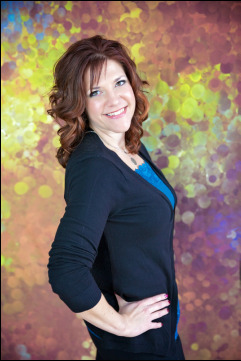 Nichole enjoys being the owner of All About You Salon & Spa and and in her spare time, spending time with her two sons. Fay is a graduate of Lakeside school of Massage Therapy and has been a part of the massage profession for over 10 years. Fay entered the field of massage because massage relieved severe lower back pain that she suffered from for several years, and now has no pain at all. She has a lot of empathy for her guests and loves helping them relieve pain. Fay is also a Reiki Master and finds Massage Therapy to be a great avenue to help others find a connection between mind, body and spirit. She specializes in Myofascial and Trigger Point Therapy to provide a unique and relaxing experience for her guests. In her free time, she loves being with her family and enjoys any activity outdoors. She is very excited and grateful to join the team at All About You and assist them in making every guest feel good about themselves. Carleigh joined the All About You team in July 2018. She was born and raised in Reedsburg and stuck around to build her career. She graduated from Vici Aveda Institute Madison in 2014. Her favorite services to perform include color, especially balayage and other lived in color techniques, eyelash extensions, and skin care. In her spare time she enjoys going to the gym, hiking and swimming and other outdoor activities with her dog Brewer and drinking wine.